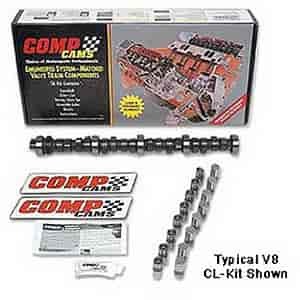 COMP Cams Xtreme Energy Mechanical Roller Camshaft and Lifter Kit Small Block Chevy 1955-98 Lift: .582"/.588"
Best for Pro Street. Needs good intake and exhaust, 11:1+ compression and 3500 stall converter. Does COMP Cams CL12-773-8 fit your vehicle?